Indianapolis, IN (March 2014) – We’re happy to announce our new licensing agreement with Airstream, maker of the iconic “silver bullet” travel trailer, and will now begin producing in 1:64 and 1:43 scale of vintage and modern American trailers. 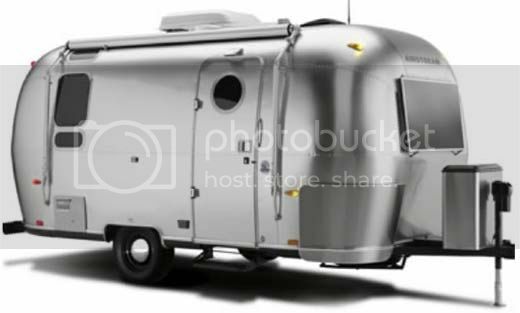 We will be creating replicas of the classic silver Bambi trailer as well as other iconic models that Airstream has made a household name around the world. Bambi trailers are a staple of classic American road trips and are recognized across generations. Airstream travel trailers, which have been inspiring adventure for 83 years, will be a flagship item in our new Hitch & Tow series due to be released in August 2014. Customers may find these items in specialty, novelty, and mass retail stores nationwide and around the world. Airstream, manufacturer of the iconic “silver bullet” travel trailer, is the longest-tenured recreational vehicle manufacturer in North America. Following founder Wally Byam’s credo, “Let’s not make changes, let’s only make improvements,” Airstream has remained a timeless classic. Byam’s vision for Airstream trailers was to use these design- and quality-driven products to allow people to dream, travel and explore the open road. A subsidiary of Thor Industries, Airstream is based in Jackson Center, Ohio, where a teamof craftsmen remains dedicated to preserving the brand’s legendary reputation for quality and innovation. For more information, please visit www.airstream.com, call 877-596-6111 or contact Airstream, Inc., 419 West Pike Street, P.O. Box 629, Jackson Center, Ohio 45334. More news about Airstream, our dealers and current travel trailer and touring coach models can be found at www.Airstream.com. For the latest news on Airstream, “like” us on Facebook and follow us on Twitter @Airstream_Inc. .
You can also stay connected with adventure-loving techies and learn about inspiring on-the-road experiences through Airstream’s Live Riveted Mobile App. GreenLight Collectibles is a premier manufacturer and marketer of authentic die-cast vehicle replicas and other automotive-related products. GreenLight replicas are produced under various themes in 1:18, 1:24, 1:43 and 1:64 scales and are officially licensed by the world’s premier automotive and entertainment companies, including General Motors, Ford Motor Company, Chrysler Group LLC, NYC & Co., Warner Bros., Carroll Shelby Licensing, CBS, Universal Studios, Sony Pictures, MGM, IndyCar Series, NASCAR and many others.